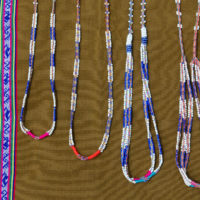 Sancarpas are thin, handwoven, beaded textiles. 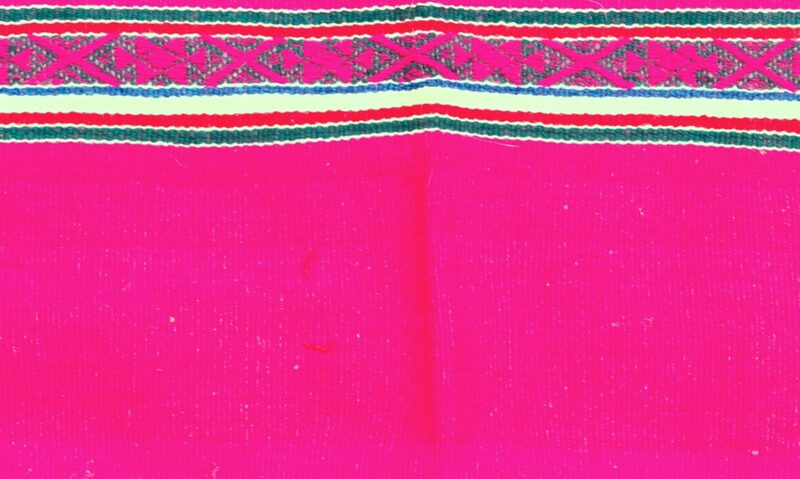 Our Sancarpas are woven by the Q’eros and come from the sacred mountain of Apu Ausangate which is the Mother Apu of Peru. 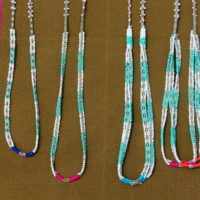 Then according to an original design of Solara, they are made into necklaces at the Heart of AN. 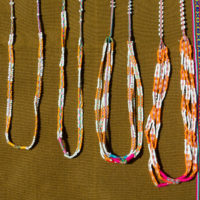 These are the only Sancarpa Necklaces available in Peru which makes them very unique. 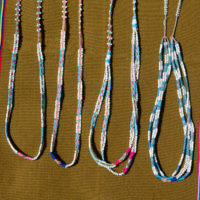 Sancarpas are used to tie the medicine bundles of the Q’eros known as mesas. 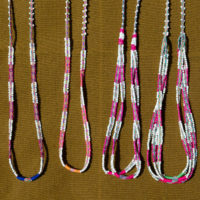 They also tie the bags of the Cards of AN. 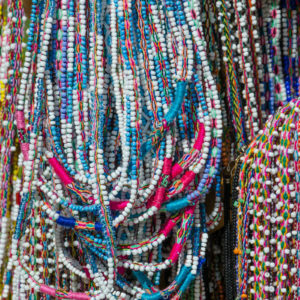 Here at the Heart of AN, we have sewn them together so they can be worn as necklaces. 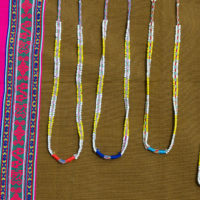 These special Sancarpa necklaces truly carry the energy of the Heart of AN. 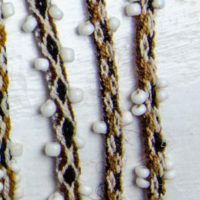 They feel both ancient and new. 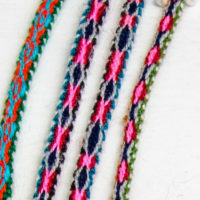 Solara wears them every day in various color combinations. They are light both in weight and in energy. 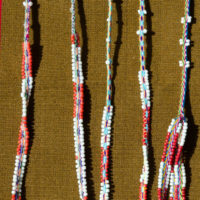 Wearing them helps us remember that we are True Ones here to create a New World. 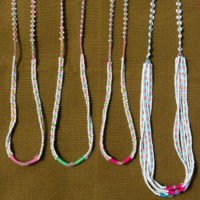 Our special Sancarpa necklaces are available in single strand, double strand and triple strands, but not in all colors. 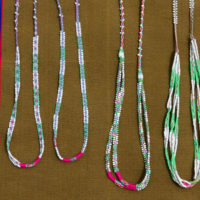 They are perfect to wear just one or many. 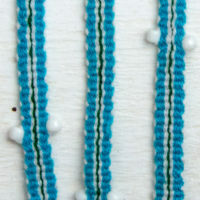 Wearing them greatly helps us stay True while anchoring and embodying the New Reality of AN.